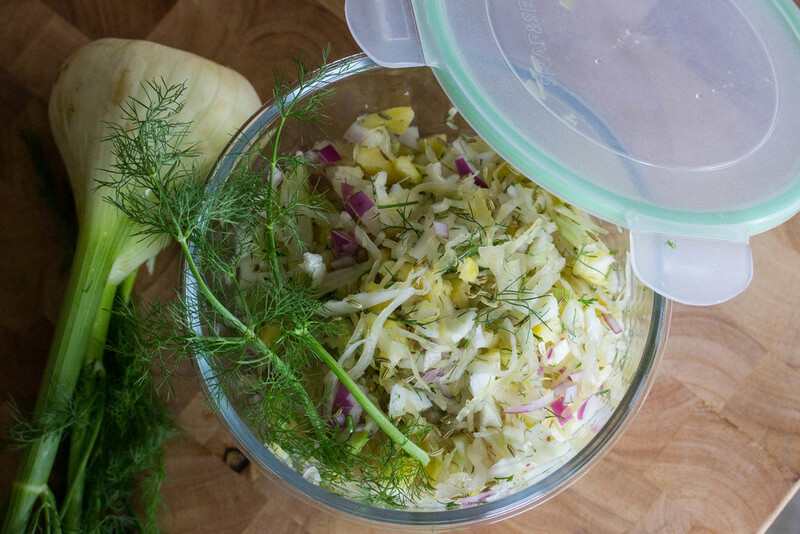 I love making Kraut Slaws because they're so easy to have on hand and toss in with just about anything! Try adding them to salads, sandwiches, or as a side to any meat. Plus, they're great to have if you get tired of eating the same old sauerkraut day after day. Kraut has amazing health benefits and is super high in probiotics which are essential for optimal gut health. Dice fennel bulb, onion, and pineapple and toss into mixing bowl. Add sauerkraut, fennel seed, chopped fennel leaves, and seasoning. Gently mix all ingredients until well combined.